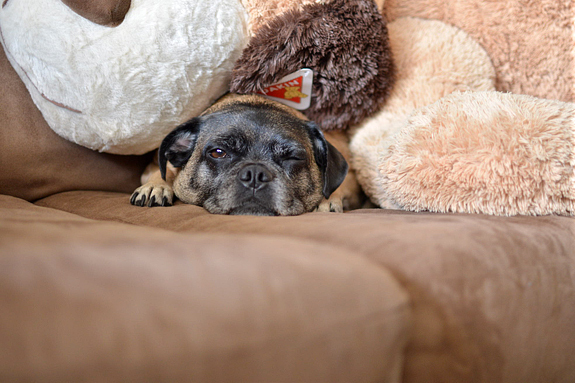 Left brain, right brain, pug brain. : Giant puppy. because he's strange like that). 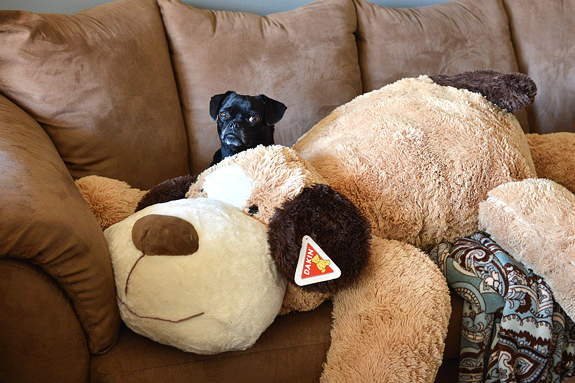 A few weeks ago we found these gigantic stuffed animals. An entire bathroom-sized bin of them. It was exactly the type of thing that would have graced my Christmas list this year years ago. I wanted to crawl inside and cuddle with them forever. the size of a small automobile in the middle of our living room. They could tear a hole out and crawl inside this thing and get lost. Plus, it was $35. A good deal, but not quite impulse-buy material. Big Lots. Last weekend, we could wait no longer. It was decided. 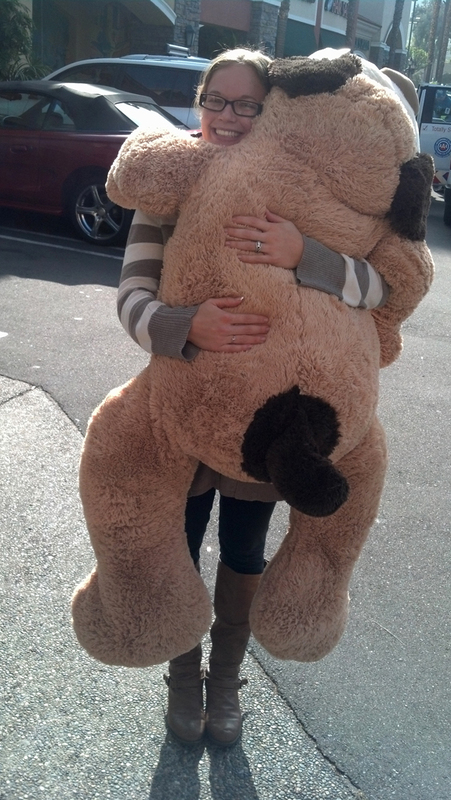 bear-hugging this stuffed dog that's just as big as I am whilst sporting a gigantic grin on my face. and we took him home to Yoshi and Dobby for their early Christmas present. but I think we like him anyway. I love, love it!!! Merry Christmas to the doggies and to you too! Ahh! I need one for my puppy, too! I love that, I think I need one...i mean my son needs one, yep I used the word need. I love Big Lots for that reason. At mine they have HUGE Teddy Bears. I really want one but I doubt that I could get it because they are 45 dollars. To cute that you bought one and shared about it. My dog would seriously LOVE one of those...I need to go to Big Lots.